Hello! 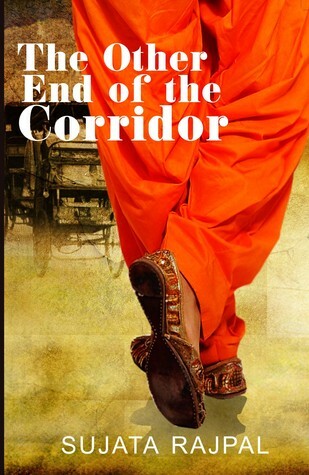 Today I have Sujata Rajpal author of The Other End of The Corridor at my blog to share some of her views. This is the question that I asked her and below is her response. Through this book, what message do you want to give today’s women to inspire them? When I started writing this book, there was no deliberate intention to write an inspirational book. I wanted to pen down a story that had been simmering inside me for quite a while. The fact that my debut book The Other End of the Corridor is an inspirational book was brought home to me when while delivering a speech on Women Empowerment at a Rotary event, someone from the audience posed a question ‘What is my contribution to the world towards women empowerment?’ my spontaneous answer was ‘I have written a book about how a battered woman deals with life situations and triumphs’. The answer was very well received. Every book has a message however subtle it is. It is up to us what we want to take from the book. I hadn’t thought about making my book an inspirational one but I wanted to end the story on a positive note as piggybacking on hope, one can surmount all roadblocks in life. Though the protagonist is a woman, I have more men readers than women. The message is not only for women alone but for everyone. Stay resilient on your dreams. There is nothing that can stop you if you are persistent enough to chase your dreams until you realize them. The opportunities to better our lives in one way or the other are all around us. It is up to us to identify them and make use of them. If we are too busy thinking only about our worries, the opportunities will just pass by us. My protagonist Leela had only one point agenda in her life, she wants to become a radio jockey and become famous. She is so steadfast on her dreams that she wants everything in her life to lead to her goal. Your life doesn’t change on its own, you have to make an effort to change it. If you keep doing the same thing in the same manner, the results wouldn’t be any different. For many years, Leela waited for things to change on their own for the better, she hoped, she prayed, she cried but nothing happened but the day she realized that her life would change only if she took control of her life, it changed. It was a high moment for me when one of my readers told me that her life story was similar to Leela’s but after reading my book, she thought if Leela can turn around her life, why can’t she do it and, in her own words, her life changed to a certain extent. The feeling of exhilaration I felt at that moment is unexplainable. All the efforts that I had put, every hour of sleep sacrificed, every tear that I shed in giving birth to this book was worth it. The purpose of this book is served if it can change the life of even one person. You are so right in saying that no one can turn your life around but yourself. Today, coincidentally, I was reading this post on rebooting your life. At some point, we might feel that we have missed chasing some of our goals. The missing feeling will not go away until we take some action to improve the situation. At the usual pace, we may not be able to fit our new purposes. That’s when we need to take stock and reboot or reschedule our routine. If you want to learn to dance, you may have to give up your gossip hour. Or if you want to write, you may have to give up your channel surfing time. In any case, as Sujata has said, it’s upto us to make the change. Big or small, every change needs effort and in proportion to how much we want it, we will have to apply that effort. This guest post is a part of the blog tour for Sujata Rajpal’s book hosted by The Book Club. 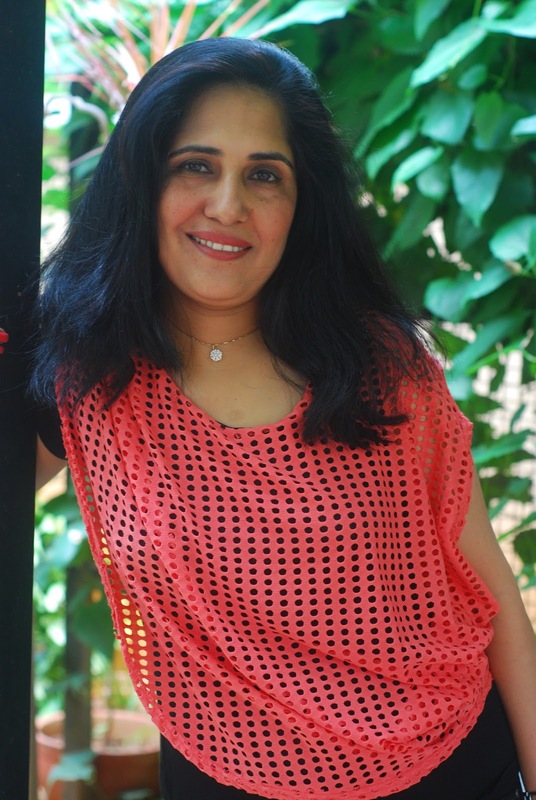 Author’s profile :Sujata Rajpal is a Corporate Communication & PR professional turned a full-time author. She holds an MPhil degree in Economics and has studied Mass Communication from Panjab University, Chandigarh. She also writes articles and short stories for publications and journals. Sujata is a yoga enthusiast and enjoys being a Toastmaster. She currently lives in Mysore. Follow The Book ‘s board BLOG TOUR : THE OTHER END OF THE CORRIDOR BY SUJATA RAJPAL on Pinterest. Thanks Summerita for hosting my post on your blog. Loved your blog!